What is 3D Printing (cloning)? 3D printing has been around since the early 1980s in various forms, but has really only taken off in the last number of years. 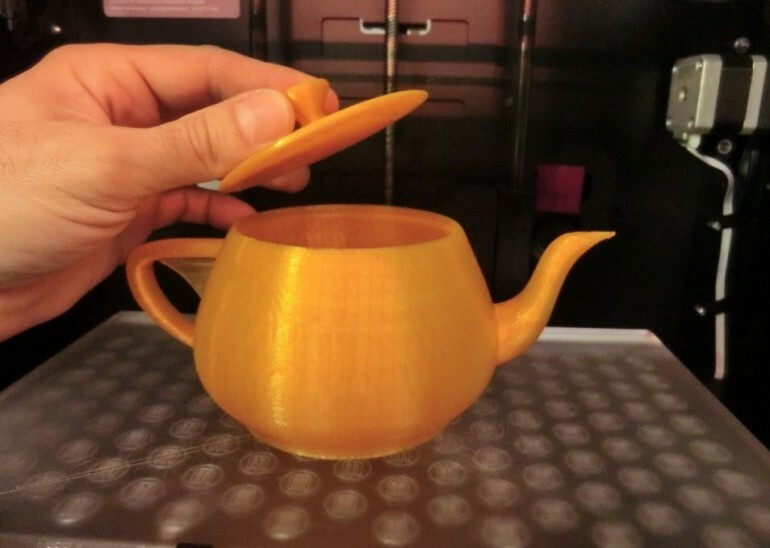 3D printing is a process whereby a 3D file is sliced into many 2D slices and interpreted by the technology to be combined and reproduced layer by layer. Today it is being used to make machine parts, souvenirs, jewellery, toys, houses and even prosthetic limbs. All types of materials like ceramics, metal and polymers can be used to create any type of object, no matter how complex. There are many forms (Additive Manufacturing, Stereolithography) and types of 3D printing; extrusion, wire, granular, laminated, flat bed powder and inkjet printing. Different materials require different techniques. The implications and applications are endless; electric guitars, car parts and even fully-functional weapons with moving parts can be directly printed off in working order. Scary stuff. A lot of these processes are still in development and time will tell what the true benefits will be. Its a bit of a Weird Science. 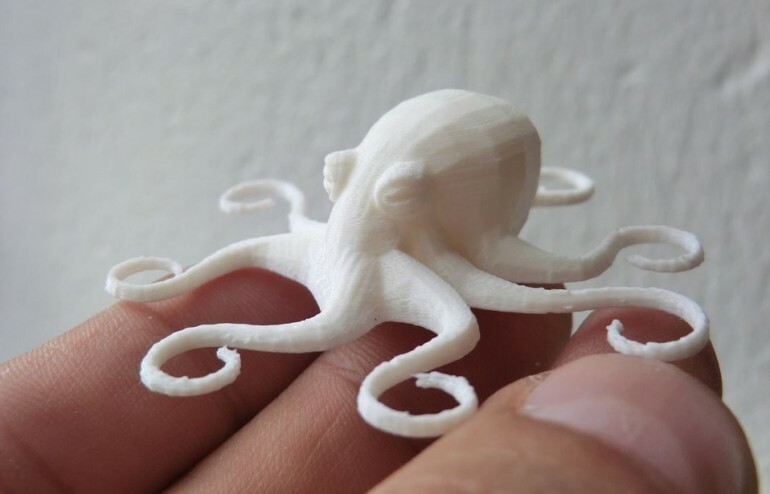 Amongst the pros for this type of technology include accuracy, quickness and efficiency, little energy or materials necessary and prints can be made when and where you need them, making 3D printing great for prototyping new designs. So who could benefit from this technology? From a historical point, some artifacts would be too fragile to handle, so simply scanning an object would mean it could be even repaired digitally and printed to its full glory. The Smithsonian Museum has already started scanning some of its more important artifacts. It would be possible to mass produce a replica for sale. Would this mean the end of the museum? (I hope not), but it could generate some much needed revenue. Imagine being able to own a piece of history, for example the Tara Brooch or your favourite bust or sculpture. This would raise more questions regarding who owns the copyright of national treasures/artifacts and the fact that anybody could recreate/print them? The possibilities are endless; everything from hearing aids, prosthetic limbs and titanium bones/skull plates that are patient-specific. The ultimate goal would be to create a new vital organs derived from a patient’s own cells and living tissue. In 2002, surgeons had to operate on two siamese twins conjoined by the their skulls. It was possible to scan their skulls to reveal all the major blood vessels and then a scale model of the conjoined skulls was produced for the surgeons who could plan the operation reducing the time from 97 hours to 23 hours. This raises ethical questions around the medical profession producing an extinct animal from its DNA. Is this science fiction? This may be crazier than it sounds, but what If we combined DNA and printed bone structure of a Dodo, would it be possible potentially to bring it back to life? What next – 3D printed burgers and fries?- although I think I may have tasted some of these already. Imagine being able to design and print a row of affordable houses, saving on time, manpower and materials with little or no waste. This, I think is a great idea; a large rig would be set up on site and the high performance concrete would be deposited through a nozzle and the building built layer by layer based on the CAD plans. The machine could automatically install reinforcement, plumbing and electrical networking. It could potentially take 20hrs to build a 2,500 sq ft house. It need not look like a shoebox, as any design can be reproduced. The fashion industry has gotten involved in the printing of clothes which have been shown on the runways and catwalks of the fashion world, although I must say they don’t look too comfortable. Imagine being able to scan and print your favourite pair of shoes. Of course the availability of this technology is still in it’s relative infancy, so its only a matter of time before fabric and textiles could be used to print almost any object. Imagine being able to go to your local garage and get a panel for you car printed – no more waiting for the part to be shipped. It could be possible to print from a manufacturer’s catalogue and print to fit your car. This would easily bring manufacturing costs down overall. For fun, did you know it is possible to set up your own 3D scanner at home? This can be used for motion capture. All you need is an Xbox kinect (or PS3 Eye camera), a PC and some free software (like ipi soft). The 3D printers are expensive at the moment, but there are local companies around that are offering 3D printing services. There are major developments happening in the world of 3D scanning and printing at the moment, developments which we will share with you in forthcoming blogs. We will also share with you some of GLUE’s own examples of some of these processes. As the technology evolves and progresses, so to does the scope of applications.